The LEGO company has been top of mind with us recently. Both professionally, and as part of activities that my son has been pursuing with a team of classmates at his school. If you can catch the Inside LEGO documentary, that is currently streaming on Netflix at just under 40 minutes, it’s time well spent. The video talks about LEGO and it’s organic growth. Eventually expanding into areas that were not their core strengths. How it lost focus on it’s core business, and how they had to reinvent, simplify then rapidly ship to customers. Testing both it’s new vision and mission as well as the global business models designed to reconnect to their most loyal customers. Mission: ‘Inspire and develop the builders of tomorrow’ Our ultimate purpose is to inspire and develop children to think creatively, reason systematically and release their potential to shape their own future – experiencing the endless human possibility. Vision: ‘Inventing the future of play’ We want to pioneer new ways of playing, play materials and the business models of play – leveraging globalisation and digitalisation…it is not just about products, it is about realising the human possibility. 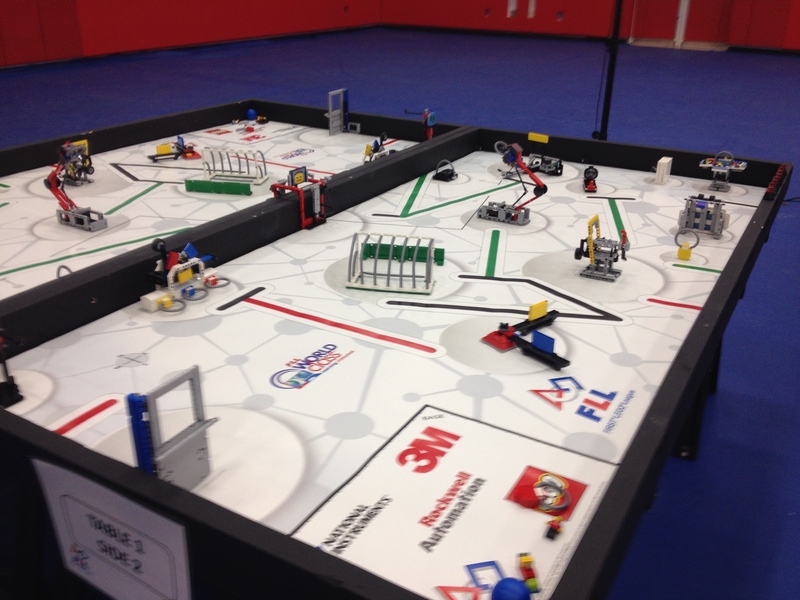 For grade schools, LEGO has partnered to create the First Lego League (FLL). 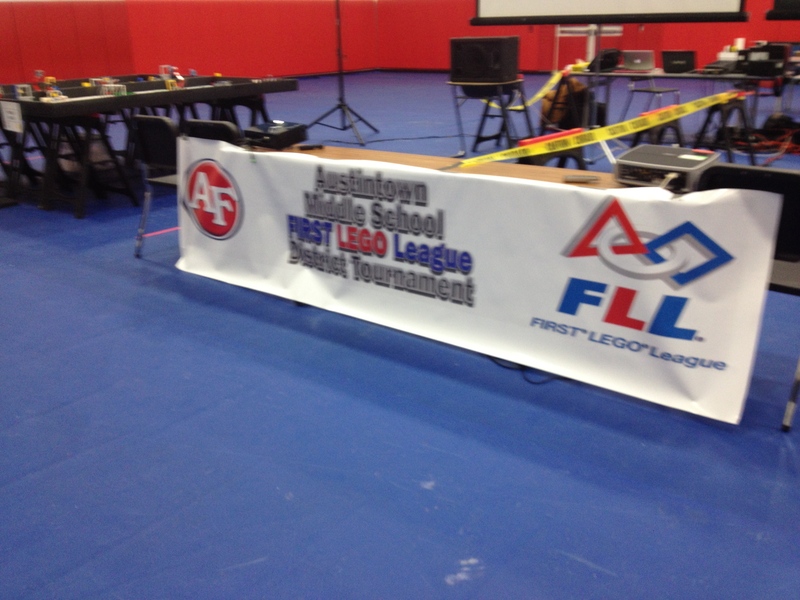 FLL is a robotics competition that my son Aaron and his school participate in. What happens in these FLL competitions is really cool. The kids participate over a period of 3-4 months. With the help of a teacher acting as a facilitator, and knowing only what the constraints are, the teams from the ground up, design a robot to run a 4 X 8 table with various tasks and obstacles. They also present and develop solutions by mining for technology, and redesign the technology to solve a problem in the world they are passionate about. Besides learning some simple things like building and programming, teams can get into some light agile development methods. Even developing skills for programming of sensors, mechanism design, and multi-threading of stepper motors in the LEGO robots. Really cool and geeky stuff. The teams and competition can start as early as the 4th grade. What’s really unique is how First Lego League approaches learning and failure. Take a deeper look. Most likely you can see in the mission and vision how it can apply to the company you lead. Wouldn’t it be great if your company would adopt and embrace something so fundamentally simple? My son Aaron is in 6th grade. He loves to build and tinker. Unfortunately, his First Lego League (FLL) Robotics team just lost the regional tournament. They didn’t make it to the state finals. At the end of the competition that day, I asked Aaron for the post game wrap-up on the team performance. “How’d it go?” I asked. “Epic fail.” he said. He was right. Sitting in the stands, it was difficult to watch. Same robot, same program with enhancements from the last event. Just two weeks earlier the the team had qualified for the district tournament. The teacher and the team worked long hours and really hard to prepare. They did a great job over several months. They made small changes each time the robot did it’s thing, always learning as they went. “What did you learn?” I asked. “I learned how to build things really fast. Try things, see if they work. You know, then make some quick changes. I learned how to program, and compile. How to break things into small parts.” He replied. “Explain that last part to me again. Why break it up into small parts?” I asked. “Smaller parts can help you solve a bigger problem. Kind of like a puzzle. Today at competition, I learned that even if it doesn’t work right, your have to keep going forward.” he said. “Was it fun?”, I asked. “Of course.” he said. “What would you change?” I asked. “So, Would you do it again?” I asked. “Sure, of course, why wouldn’t I?” he replied. All companies have teams and employees that like to make things. They all want make things, make things better, and SHIP something to their customers. At a recent executive event of over 40 people who lead and manage companies and employees, the question was asked, “Have you ever shipped a product or service to market?” Maybe 12 to 15 raised their hands that they have actually shipped a product. Some companies have giant teams of engineers. Most organizations have extended teams of employees including marketing, sales, purchasing and operations. All the necessary players to deliver a product or service to market. Some of those folks, having worked at companies for 30+ years, have never shipped. An entire career at a company, or an entire working LIFE until retirement without shipping ANYTHING. When you think deep about it, it’s just really, really sad. We really didn’t have a market for that. The executive team wasn’t aligned and killed the project. We didn’t have the right strategy. We didn’t really understand the customer requirements. The customer didn’t know what they wanted. We were so ahead of the market, we cancelled the project. The engineers over designed or under designed for the market. The technology wasn’t understood or it was compromised. A million reasons that kill creativity of your employees. Reasons that crush and self sabotage opportunities to grow your business. A million reasons to sit idly by and do nothing. A million reasons not to take action to do something and just let the company fall apart over time. Maybe the companies had leaders who were short sighted. Perhaps looking only at the results for the next quarter. Perhaps they were not capable to make the employees part of something grander. Something more than just a paycheck. Something that solves a big problem. Something that addresses a big need. Something that maybe even saves lives or changes the world. Something that gives the employees joy in WHAT they do and WHY they do it. Most of the time, it’s not the leader’s fault. But rather, it’s that the leaders simply just don’t know how to do it. Most leaders, if honest with themselves, recognize that they were not educated on how to create, change rapidly, and get the solution to customers for early feedback. 6th graders will demo, learn rapidly, ship, and repeat. If they fail, they move forward to the next step. Because, if they do, they will learn something and get smarter. They understand it. They are not afraid to do it. What is holding you and your organization back to ship early, ship often and rapidly learn? 1) What do you and your organization need to START doing to ship to market faster? 2) What do you and your organization need to STOP doing to ship to market faster? 3) What is holding you and your organization back from taking the next step to LEARN MORE? If you need help, or want to learn more, just reach out. That is why we are here. If you’d like to learn to more about our approach to the innovation education and operating systems contact us at http://www.the-innovation-garage.com. Or email: info@the-innovation-garage.com to learn more and request real world deployment case studies. Have been running our event platform, Dryfta, (https://dryfta.com)for 2 years now. We do exactly what you have recommended here in this post. Releasing a new feature, doesnt matter if it’s big or small, almost every week. We have a page which notifies our customers of upcoming updates and past updates. That makes sure our customer know that we’re in this for the long haul and are continuously disrupting the event industry. Ship early. Ship often.